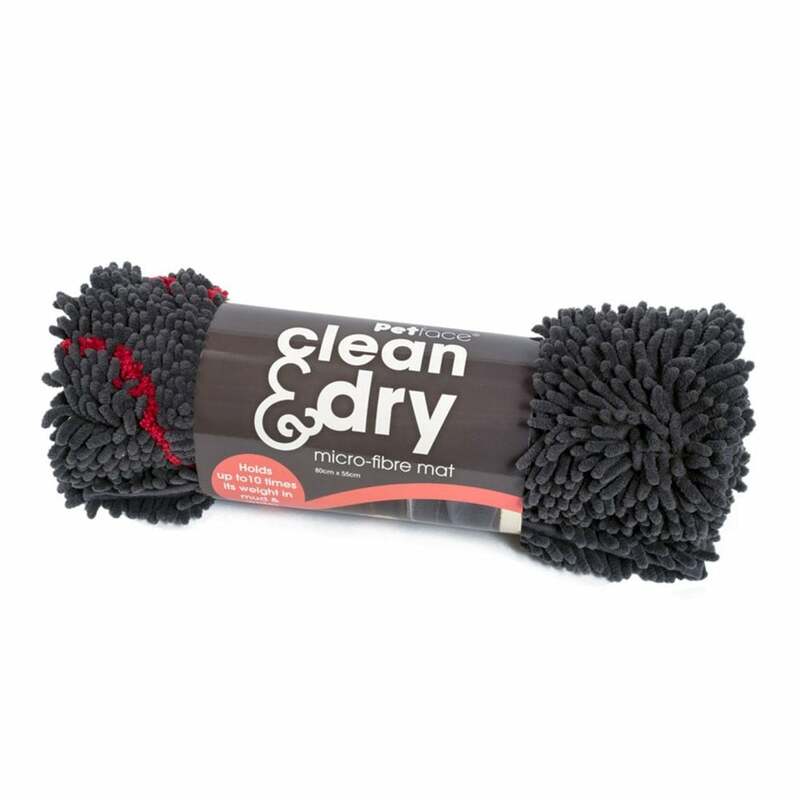 The Petface Clean & Dry Microfibre Mat is a brilliant way to keep clean floors from muddy paws. The super absorbent micro-fibre can collect six times its own weight in moisture. Featuring a non-slip backing it is great for high traffic areas especially doorways and is fully machine washable. Please note - Grey / Red and Brown / Cream randomly allocated to orders if you require a specific colour please call.